Home Knowledge Centre Blog Time to say goodbye to the employee bonus scheme? For the first time in 66 years, John Lewis might not be able to pay their staff a bonus in 2019. Five years ago, they awarded staff a 15% bonus on their annual salary. If big long-standing businesses are feeling the pressure to abandon their bonus policies, it’s not surprising smaller businesses might be feeling the pinch with dwindling profit margins. Instead of resorting straight to redundancy, a lot of employers look at their bonus policy as a quick way to reduce their outgoings. Is now the right time to revisit your bonus policy? If you have no specific structure to your employee bonus scheme, or you explicitly state that you reserve the right to withhold bonuses, then your scheme is probably discretionary. This means you’re not legally required to pay a bonus. But if your staff contracts contain explicit clauses about paying bonuses, your employees are contractually entitled to their bonus. Can staff argue they should get a bonus? Your staff could argue that the bonus has become an implied contractual term. An implied contractual term won’t be written into staff contracts. Instead, it’s meant to be so obvious that it doesn’t need to be recorded. For a bonus to be an implied contractual term, employees need to show they’ve received bonus payments for some time and they have come to expect them. You could remove the bonus scheme, but you might face a claim for a breach of contract. Even if it’s an implied term. Ask yourself what’s worth more. A claim for breach of contract, or forking out a staff bonus? 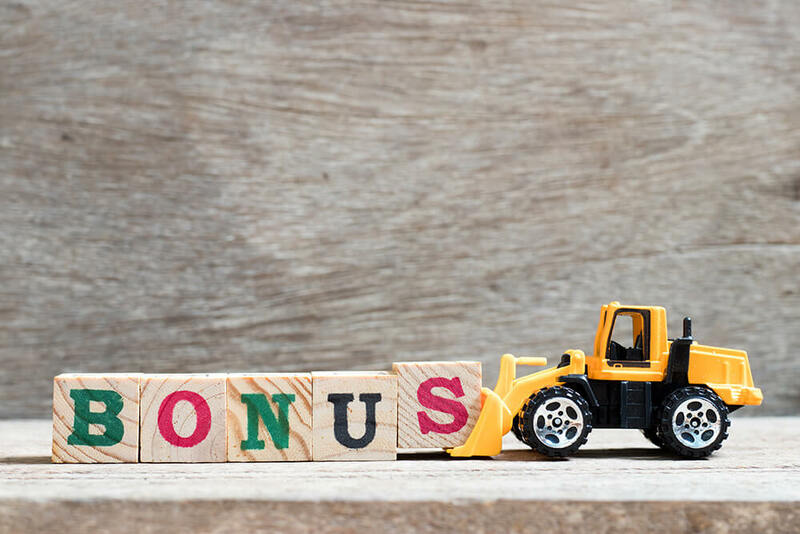 It’s worth weighing up the pros and cons before removing a bonus policy. If the bonus scheme is contractual, you have less freedom to remove it immediately. You need to consult with staff and explain your intention to change their contractual terms and remove the bonus. During your consultation with staff, you should explain why you’re removing the bonus scheme. You might intend to revisit the issue if your business becomes more profitable. Or, you could introduce another benefit in place of the bonus that has value for staff. For example, an extra day of annual leave. Before you can remove a contractual bonus, you need the agreement of your staff. If they refuse to accept the changes you make to their contracts, you could dismiss them on their current terms, and then re-engage them with a new contract (minus the bonus entitlement). But beware. Without a valid business reason for removing your bonus scheme, you risk unfair dismissal claims. Once you have changed your bonus policy, make sure you update your staff contracts. However you choose to handle changes to workplace bonuses, be sure to do things by the book. Our HR and employment law experts who’ll help you revisit your business’s approach to bonuses. Call us on 0800 028 2420.